Since sustainability has been and remains a relevant topic in the airline industry and is also close to our hearts here at SPIRIANT, we have decided to talk about our sustainable products and projects in a series of communication pieces right now. Our mission is clear: Enabling conscious travel, for customers, for passengers and for ourselves. With inflight products and solutions that help airlines to minimize their footprint and make travelers feel they’re contributing to a global movement towards a more sustainable future. 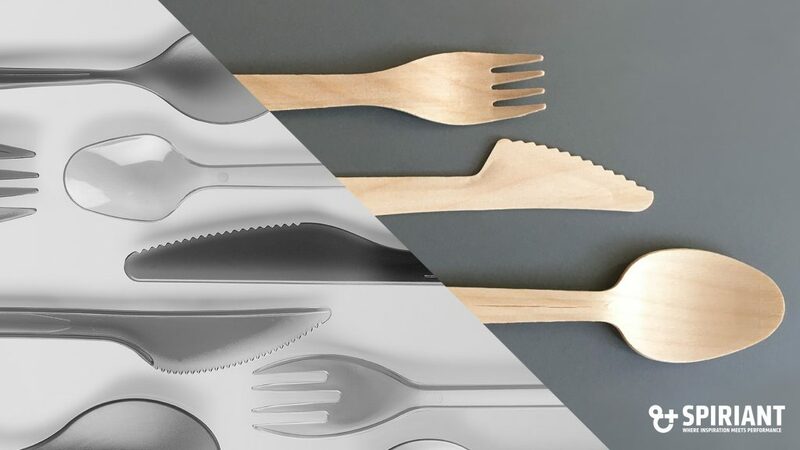 Cutlery and stirrers made from high-quality birchwood are sourced from replanted trees in farmed forests, 100% biodegradable and have zero artificial substances that would harm the atmosphere when burned. For a more premium look and feel, you can also opt for cutlery made from fast-growing bamboo material. And for straws, it’s paper that convinces as a renewable raw material that’s 100% recyclable. Consider this: An A380 on a long-haul flight has over 6000 plastic items on board. Imagine the impact a small change to a product could have on the overall plastic contribution. We’re excited to take you on this journey with us, so stay tuned for regular updates under #ConsciousTravel or reach out to our sales team for more information.